FORMER TRUMP CAMPAIGN leader Paul Manafort intentionally lied to investigators and a federal grand jury in the special counsel’s Russia probe, a judge has ruled. US district judge Amy Berman Jackson’s decision was another loss for Manafort, a once-wealthy political consultant who rose to lead Donald Trump’s 2016 campaign. He now faces years in prison in two criminal cases, which have been brought in special counsel Robert Mueller’s investigation. It also resolves a dispute that had provided new insight into how Mueller views Manafort’s actions as part of the broader probe of Russian election interference and any possible coordination with Trump associates. Prosecutors have made clear that they remain deeply interested in Manafort’s interactions with a man the FBI says has ties to Russian intelligence. But it’s unclear exactly what has drawn their attention and whether it relates to election interference, because much of the dispute has played out in secret court hearings and blacked-out court filings. In her ruling yesterday, Jackson provided few new details as she found there was sufficient evidence to say Manafort broke the terms of his plea agreement by lying about three of five matters that prosecutors had singled out. The ruling was largely a rejection of Manafort’s lawyers’ argument that he did not intentionally mislead investigators, but rather forgot some details until his memory was refreshed. The judge found that Manafort did mislead the FBI, as well as prosecutors and a federal grand jury, about his interactions with Konstantin Kilimnik, the co-defendant whom the FBI says has ties to Russian intelligence. Prosecutors had accused Manafort of lying about several discussions the two men had, including about a possible peace plan to resolve the Russia-Ukraine conflict in Crimea. Jackson also found that in addition to his interactions with Kilimnik, there was sufficient evidence that Manafort had lied about a payment to a law firm representing him and about an undisclosed Justice Department investigation. Kilimnik, who lives in Russia, was charged alongside Manafort with conspiracy and obstruction of justice. He has yet to appear in a US court to face the charges. 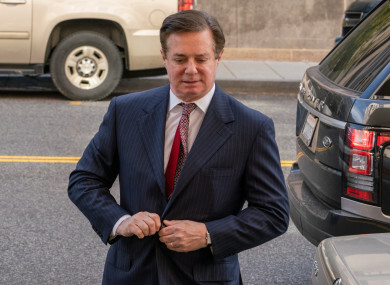 Manafort’s sentencing is set for 13 March, and he faces up to five years in prison, as well as the possibility of a decade in prison in a separate federal case in Virginia, where he was convicted last year of tax and bank fraud crimes. Email “Former head of Trump presidential campaign 'intentionally' misled Russia investigation, judge rules”. Feedback on “Former head of Trump presidential campaign 'intentionally' misled Russia investigation, judge rules”.